Live in the elegance and beauty of the Waterlefe Golf and River Club. 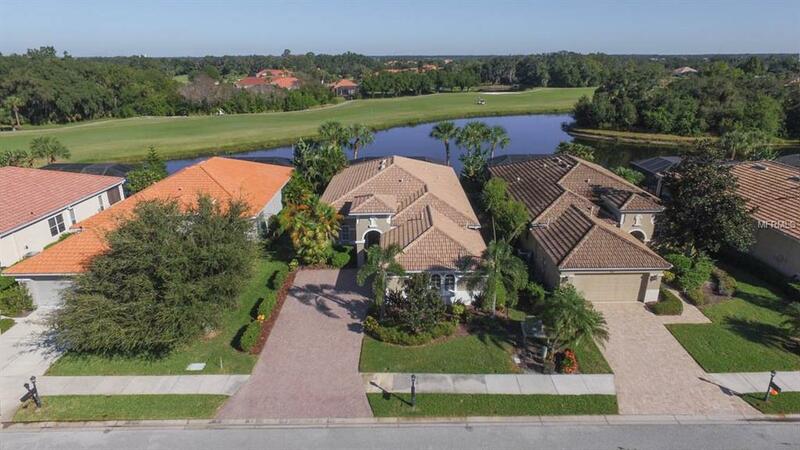 Model-like Villa, impeccably kept 2 bd/2ba with den/office looking across expansive pond overlooking the 6th hole. This upgraded/premier lot is framed perfectly with the mature landscaping and old Florida Charm. Once you walk into this Reddington Villa Home you will realize the exceptional upgrades and decorated touches. Just a few of the large list: New washer and dryer, new backsplash and appliances in kitchen, new fans, new carpet, new A/C, new water heater, new exterior paint and roof pressure washed. Pocket sliding glass doors lead the way to a custom heated pool and spa with remote control. Ask your realtor for a full list of recent upgrades and you'll be sure to fall in love with this wonderful home.